The BMO Vancouver Marathon is back on May 6, 2018, and registration officially kicks off this Thursday, September 21, at 10am PST. The annual event that dates back to 1972 is expected to sell out again after coming off a record-breaking year, welcoming runners from 65 countries. “We’re excited to celebrate how much this event has grown both locally and internationally,” says Eric Chéné, Race Director of the non-profit Vancouver International Marathon Society RUNVAN®, organizers of the BMO Vancouver Marathon. Behind the scenes, the team is also working on some big initiatives for the new year. The BMO Vancouver Marathon now offers a diverse collection of races, inviting athletes of all abilities. Along with its award-winning Marathon course, the event also features a fast and scenic Half Marathon, 8KM race, Marathon Relay, and Kids Run, in addition to a free, three-day Health, Sports & Lifestyle Expo. Nearly 4,000 volunteers annualy come out to help stage the event, while over 90,000 spectators are expected to line the streets come race day. The Community Cheer Challenge presented by Chevron will once again reward communities and fans who cheer on runners and showcase their Vancouver spirit. New for 2018, organizers have lowered prices for its Marathon Relay to encourage even more team participation and invite new runners into the mix. The Relay event features race distances between 5KM and 13KM, with all runners receiving technical shirts, medals, and more. For those looking to enhance their race experience, a new “Prestige Club” features Start and Finish Line hospitality service, valet gear check, private toilets, breakfast, a post-race massage and catered buffet. The event is ranked one of the top destination marathons in the world by leading publications such as Forbes, CNN and USA Today. 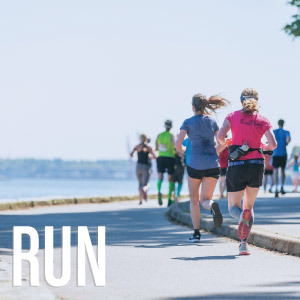 Vancouver’s iconic mountain ranges, shorelines and Seawall – the world’s longest uninterrupted waterfront path – are all showcased along the stunning 42.2KM Marathon course. All event courses cut through Vancouver’s world-famous Stanley Park, voted the Top Park in the World by TripAdvisor. The Marathon, Half Marathon, 8KM race and Relay then all connect to share an energized Finish Line in the heart of Downtown Vancouver. It’s a beautiful, urban course. 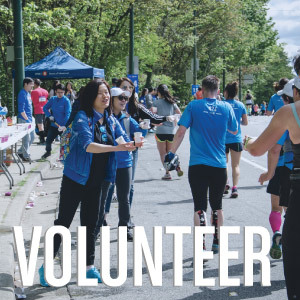 Since 1972, the BMO Vancouver Marathon has grown from a single race with 32 finishers into a world-class event that now annually welcomes runners from all over the world, with over 16,000 registrants. The Health, Sports & Lifestyle Expo, May 3-5, at the downtown Vancouver Convention Centre West, will showcase nearly 150 exhibitors and kick off race weekend. Western Canada’s largest Health, Sports & Lifestyle Expo is free and open to the public. Secure your spot early, and run with the world next May at the BMO Vancouver Marathon!